Many small businesses face drastic challenges as winter begins to rear its ugly head. For mobile companies like food trucks and taxis, snow and ice create a much more hazardous work environment. It’s also the beginning of cold and flu season, meaning that your employees could use a comprehensive health plan to keep them on their feet and in the office. We understand that different kinds of businesses need different kinds of business insurance, which is exactly why we offer several customizable policies to fit the specifics of your operation. Below is a listing of our different kinds of business insurance policies and a short description of how it is intended to protect you and your business. So if its Additional Property Liability to cover icy slip and falls or Inland Marine Insurance to make sure your transported inventory is covered, we’ve got a plan for you. 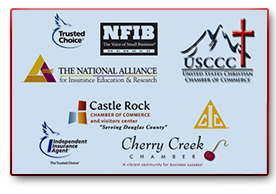 If it sounds like something that might benefit your company, click on the link to learn more and then shoot us an email at contact@insurancedenver.net or give us a call at 303-388-7216. We’ll be happy to explain policies in more depth and provide you with a free quote. 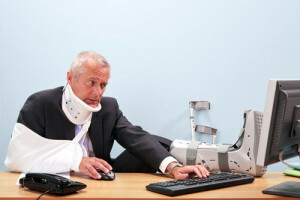 You may have Commercial General Liability Insurance, but is it the right insurance? Is it enough? Keeping your business protected is a constant battle in today’s vicious lawsuit happy culture. Your current Commercial General Liability Insurance probably protects your business when incidents happen as a direct result of your regular operations. However, there are many situations that may require additional commercial liability policies. This article will cover three of the additional commercial liability policies most frequently needed by small businesses. Liquor Liability includes covering damages and injuries in which your business is held legally responsible as a result of serving liquor. This kind of liability coverage is traditionally associated with bars, restaurants, and nightclubs, but legal responsibility extends to many businesses outside of those industries. If your company holds a celebration at which liquor is served, your company may be held liable for damages incurred at the party, as well as if an individual is overserved and causes a car accident as a result of intoxicated driving. Concession Liability insures your special event stand, booth, or display from damage, accidents, or accidental injuries sustained to pedestrians. If your company participates tradeshows, local festivals, or any other special event, you should consider investing in concession liability insurance. Without this type of policy addition, your company could be responsible for paying medical bills and covering the cost of property damage to others and yourself in the event that your company’s event stand causes or incurs damages or injury. Foreign Liability protects your company’s employees in the event of injury, damages, and lawsuits during out-of-country business trips. If your company requires international travel of any kind, its employees may not be familiar with the laws, customs, and even design of foreign countries, possibly increasing the likelihood of an incident. It is important to ensure that your commercial liability policy coverage extends to protect your employees and assets in the event that something happens, such as an employee injuring themselves and damaging a company laptop by plugging in the American charger into a British electrical plug. It is important to remember that there are several more types of liability coverages, so it’s important to speak directly with an Insurance Town and Country Commercial Insurance Specialist about the specific needs of your business. If you are concerned that there may be gaps in your company’s liability coverage, give us a call at 303-388-7216, shoot us an email at contact@insurancedenver.net, or request a quote online. Let our Commercial Insurance Specialists work with you to find the policies that your business needs.